Earth : Earth is a neutral brown that contains all of the warm and cool hues of nature. Great for women with very dark brown/black hair. This color is beautiful on blue eyes, honey brown eyes, dark brown eyes, gray eyes, or golden brown eyes. 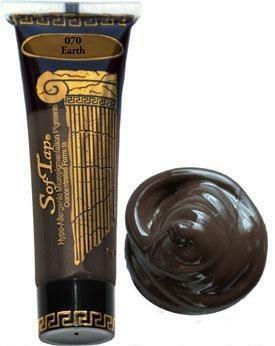 Each tube of SofTap "Earth" Pigment comes in a 7ml. size.